Lately I have been into making bread from scratch. Something about the warmth and texture of fresh bread makes it one of the most delicious and rewarding things to make. Unfortunately, bread-making gets a bad rap, and when people hear, "bread from scratch," they automatically assume something tedious and time-consuming. Homemade bread often requires few ingredients but a lot of patience. 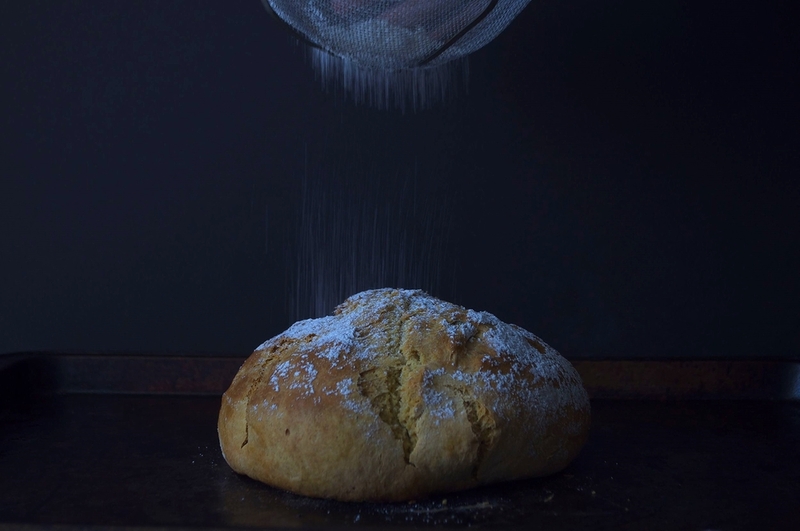 However, for those in a rush, who can't wait around for the dough to rise, and flinch at the words "knead" and "yeast," there is a solution -- Soda Bread! Yes, this beautiful creation of no knead, no yeast bread is perfect for bread-makers on a time-crunch. 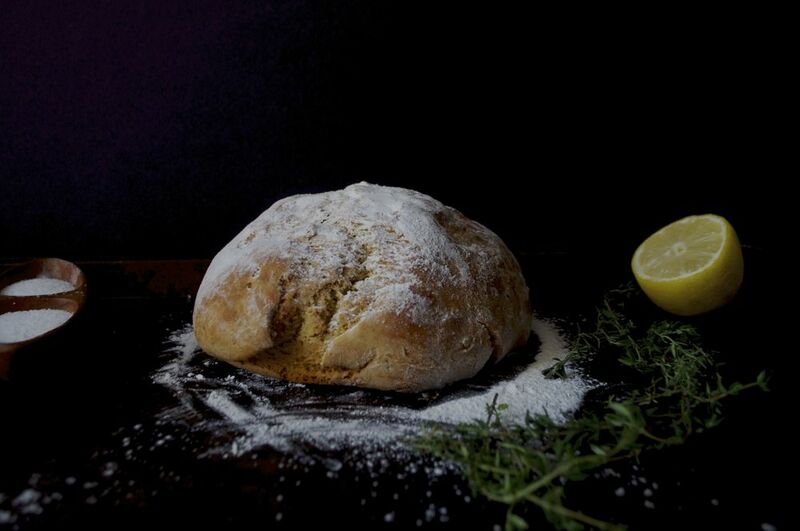 Soda bread is a quick-making bread that is seen in many traditional cuisines, most notably Irish, Serbian, and Scottish. The name "Soda," comes from bicarbonate sodium (aka baking soda), the leavening ingredient in the bread. Irish soda bread is often made with whole wheat cake or pastry flour and white flour. This combination creates a gentle balance between light and earthiness. For this recipe, I was inspired by Melissa Clark's Soda Bread. The bread itself is quite simple, with buttermilk and egg as the binding agents. 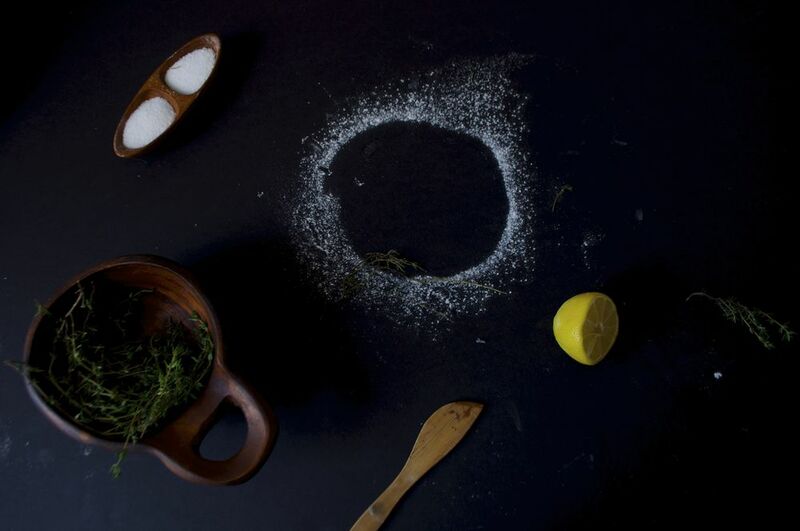 I added lemon and thyme to create an earthy and citrusy flavor. 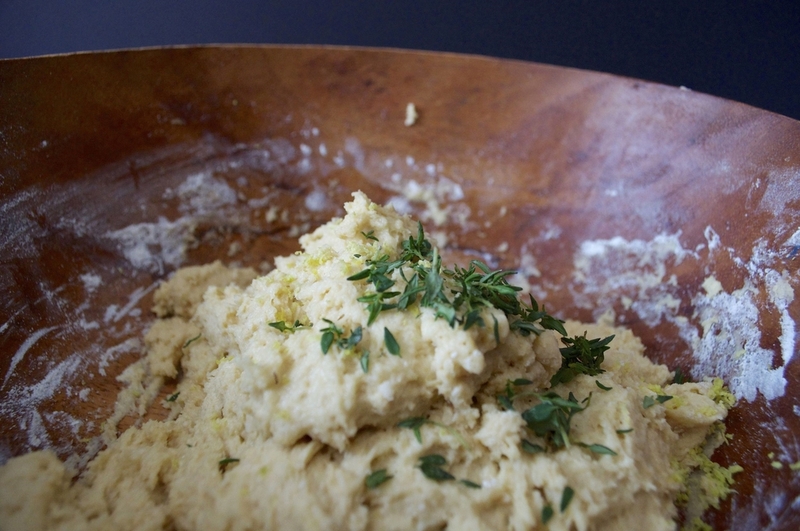 The recipe calls for 1/4 cup sugar, but you could use less if you prefer a more savory bread. You could add currents, raisins, seeds, nuts dried fruits, or anything you'd like! 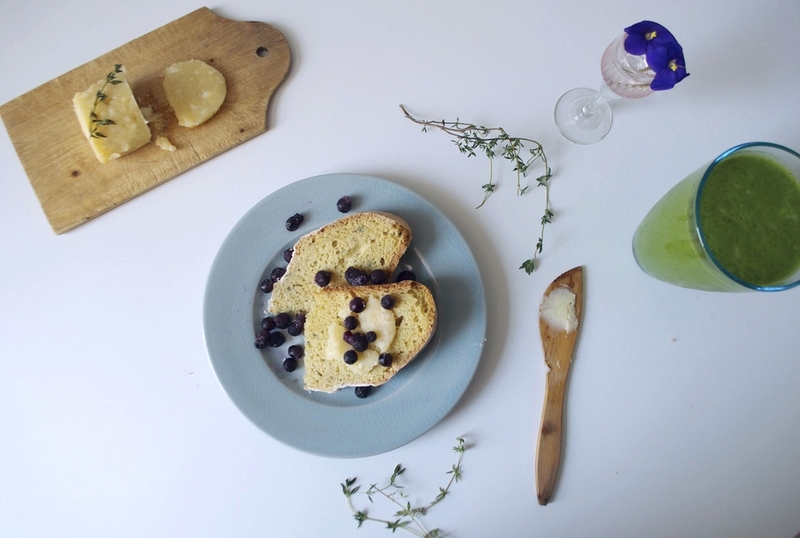 It pairs wonderfully with my honey butter recipe and with a texture similar to a scone, this bread is perfect with fruits and jams for breakfast. Dollop on some clotted cream and this bread is great for tea time, top with a fried egg for a delicious lunch, or drizzle with some chocolate ganache and a scoop of ice cream for a sweet treat. Whatever you choose, whether it's savory or sweet, have fun! Preheat oven to 375 degrees. Lightly grease a baking sheet. 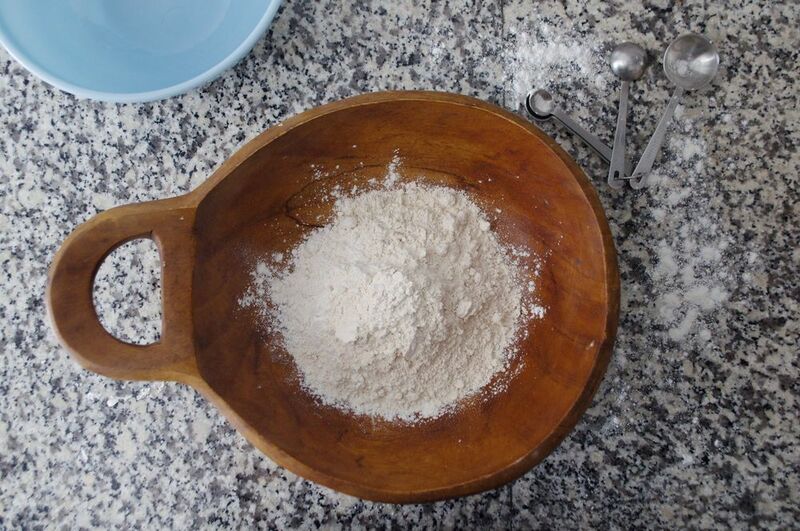 In a large bowl, add the all-purpose flour, whole wheat pastry flour, sugar, baking powder, baking soda, and salt. Whisk together. Using your fingers (or pastry cutter if you have it), work the butter into the flour mixture until coarse crumbs form. 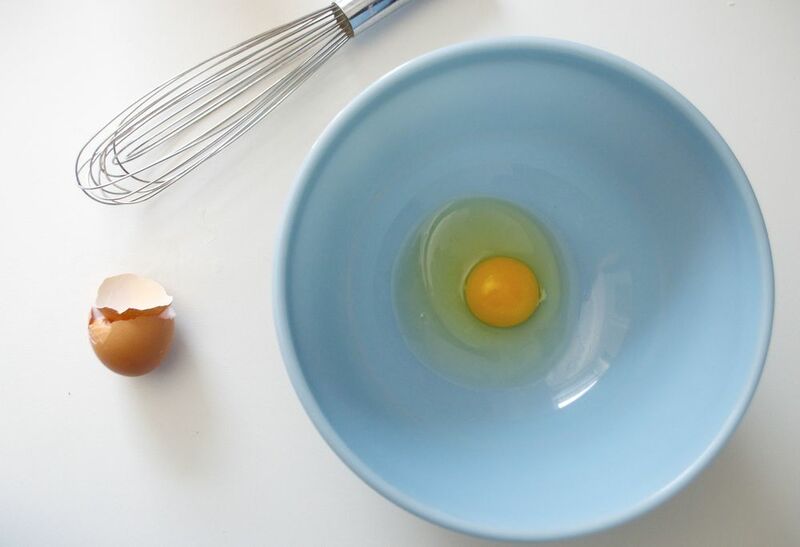 In a separate bowl, whisk together the buttermilk and egg. Add it to the dry mixture and stir until a wet dough it formed. Add the thyme and lemon zest and combine. 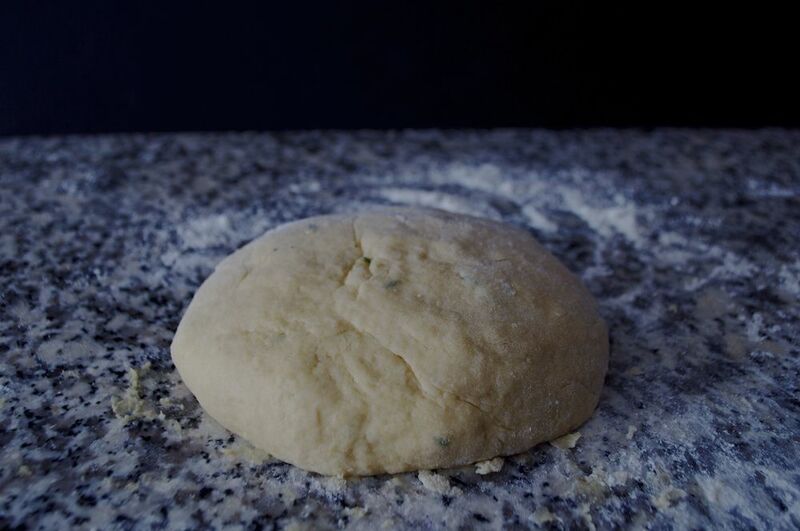 Transfer the dough to a lightly floured work surface and shape it into a 6 inch disk. Once formed, place the dough on the baking sheet and using a knife or scissors, slash a small X on the top. Brush the dough with buttermilk and lightly flour. Place into the oven for 35-45minutes, until golden brown and firm. Let cool and serve with honey butter or whatever you like! Enjoy!